A new American coffee shop serving fresh, seasonal, and handcrafted coffee, breakfast, lunch, and dinner. Milk Money Bar & Kitchen is a cozy neighborhood cocktail bar and full-service kitchen serving breakfast, lunch and late-night dishes. Savory options include healthy to decadent plates ranging from roasted root turmeric bowls to black forest waffles. 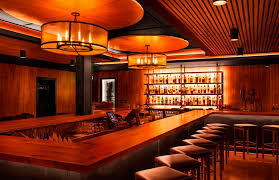 Spirit based drinks include classic, craft & kombucha cocktails and a large selection of craft beers. Proudly serving Counter Culture Coffee, JoJo Teas and Non Prophet Kombucha on draft. Specialty coffee doesn’t just happen: it requires time, resources, dedication and an incredible team who cares about preserving quality from seed to sip. Scott Ojeda fell in love with specialty coffee in Vancouver. The process, the taste, the community, all had him looking to share the experience with Fort Lauderdale. In 2013 Ojeda shared his dream with Blaise McMackin, who caught the vision and committed to working with him to make it a reality. After countless days of hard work, in March of 2015, Warsaw Coffee Company opened its doors and changed the coffee community in South Florida forever. Proudly serving Counter Culture Coffee and pastries baked in house each day. At Warsaw, we’re about serving only the best. We promise to pour our hearts into carefully crafting each cup. We hope you agree that this extra time and work is totally worth it. The proof is in the cup.